A gorgeous tango (and waltz!) that blends beautifully with modern movements, this choreography is going right up there with my other all-time favorites! 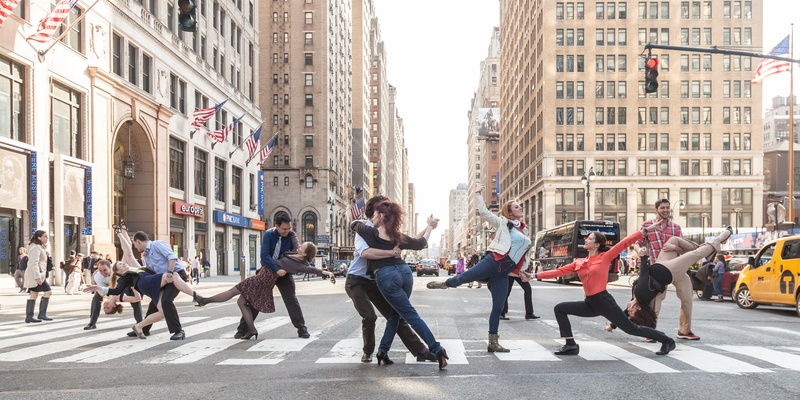 On Sunday, I wrote about Esplanade, a stunning piece of work about the joy of dance. 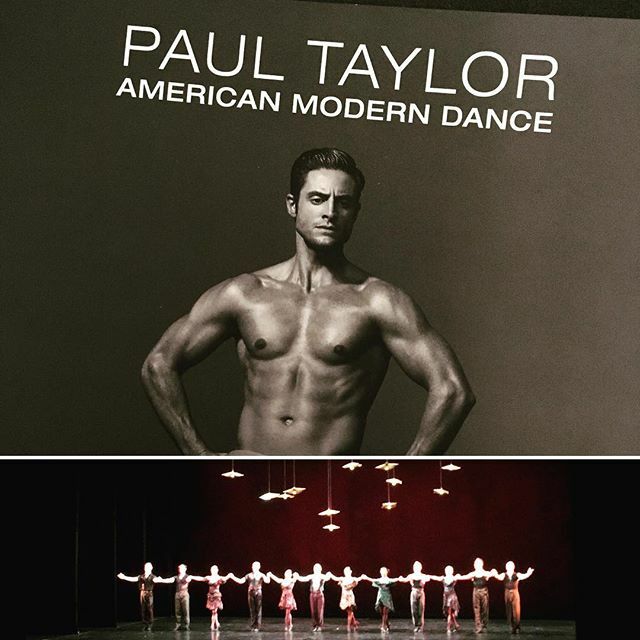 Paul Taylor dancers moved with so much spirit, so much heart, and so much energy. Even from the audience’s seats, we could feel the dancers’ passion, welcoming us onto the stage, inviting us to join the celebration. I didn’t think another choreography could possibly live up to the expectations of Esplanade. Yet, Piazzolla Caldera did tonight. I’ve always enjoyed how Paul Taylor seamlessly merges concert dance with vernacular dance forms — bringing out not just the best of both worlds, but creating something unique, remarkable, and extraordinary in the process. His group movements often remind me of contra dance patterns (on crack!). There are the polka mazurka steps in Eventide, lindy hop and polka in Company B, swing in Black Tuesday, disco in Changes, and so on. Piazzolla Caldera is the most exquisite of such a fusion that I’ve seen so far. The tango was absolutely beautiful, including the 12-person movements in the opening scene, the subsequent solos and duets. I never imagined that tango could be danced in such a manner. The piece retained the intensity, attitude, and connection traditionally associated with tango. Staying true to the dance form’s roots, two men even had chest-to-chest lead-follows! Yet, the work inserted even more energy, dynamic, and theatricality into tango (as if tango needed any, but apparently it could!!!) with leaps, turns, upper body gestures, and more. My favorite part, you ask? Back in 1913 and 1914, when Argentine tango was first introduced to the US, New Yorkers used to dance tango to triple-time waltz music, creating a tango-waltz fusion known as “Hesitation Waltz.” Midway through Piazzolla Caldera, the music transitioned from 4/4 tango music to 3/4 waltz music. Replacing the hesitation step with by modern movements, Paul Taylor created a new modern-tango-waltz fusion. Mind blown! WOW!! !